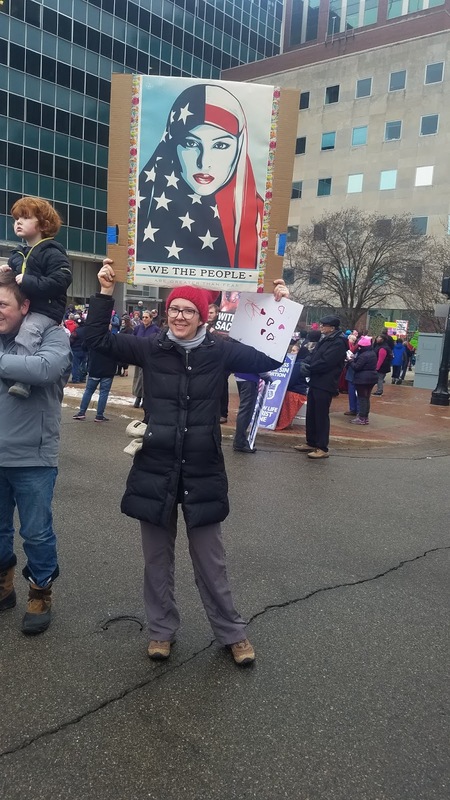 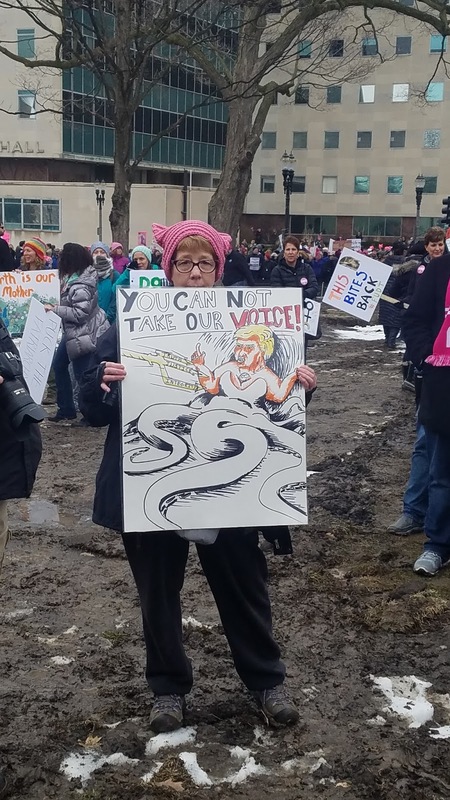 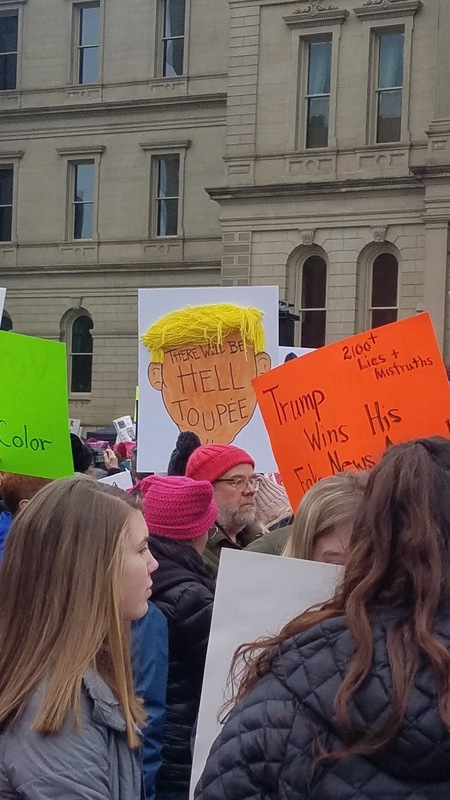 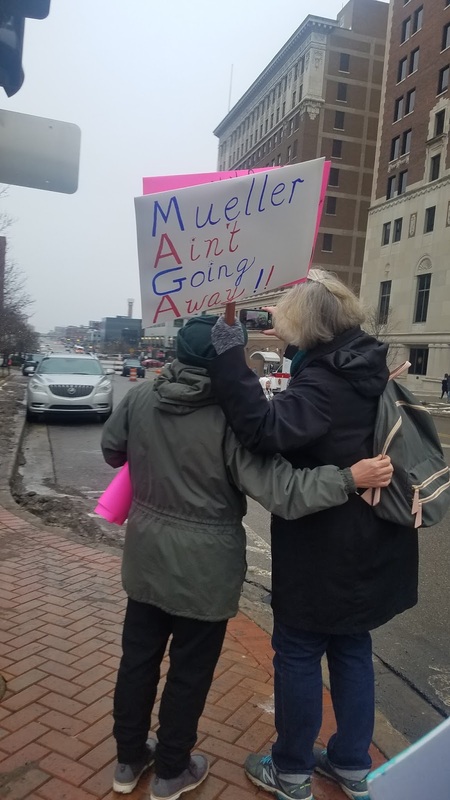 Thousands of people gathered in Lansing on Sunday afternoon to mark the one year anniversary of The Women's March, the largest one day action in US history. The purpose of the gathering was to encourage women to bring their power to polls this November by ensuring women vote, run for office, and become leaders within their communities and workplaces. 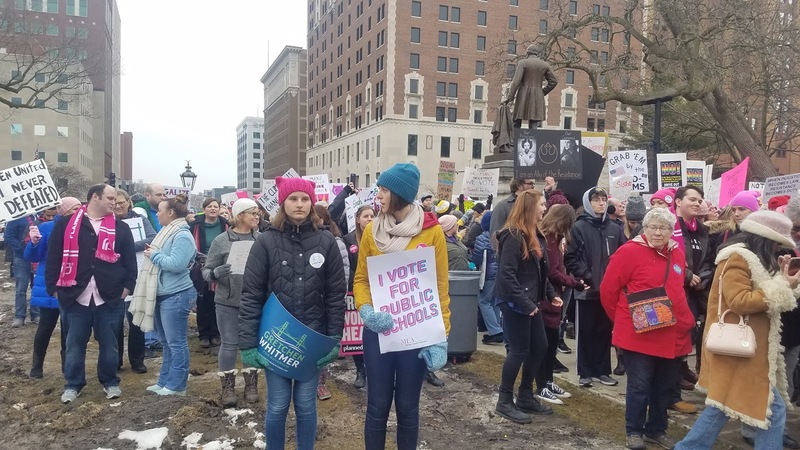 The eclectic lineup of speakers included immigrant rights advocate Cindy Garcia, Nicole Denson, a social justice activist from Wayne County SAFE, Emily Durbin, Michigan chapter leader of Moms Demand Action for Gun Sense in America, LaShawn Erby, a founding member of Black Lives Matter's Lansing branch, Gayle Hamilton, head of the Labor Studies Center and the Labor School at Wayne State University, Jeynce Poindexter, Transgender Victims Advocate for Equality Michigan, Chia Morgan, coordinator for Well of Hope, Dizzy Warren from the Michigan Consumers for Healthcare coalition, Lilianna Reyes, a transgender Latina woman with has a background working with marginalized communities, Fatou-Seydi Sarr, founder of African Bureau for Immigration and Social affairs, and Sheerin Siddique, a Metro Detroit advocate for survivors of violence against women. 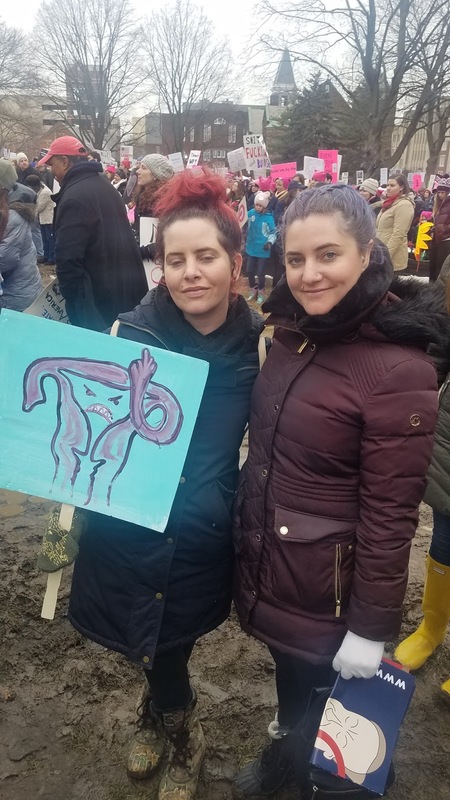 Their speeches focused on indigenous peoples rights and the lack of diversity and inclusivity in traditional feminists actions, including last years march. 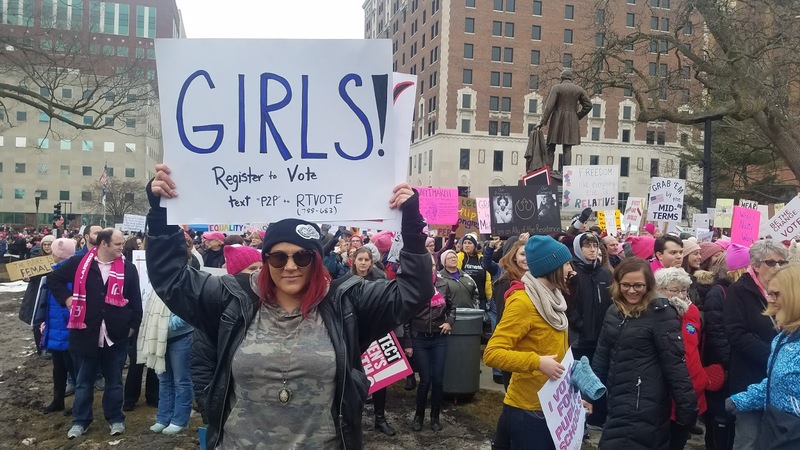 They encouraged attendees to use their privilege to elevate black women to positions of power and to listen when they tell us about their unique experiences and concerns. They also discussed the struggles of our trans sisters and their right to have their voices heard within this movement. 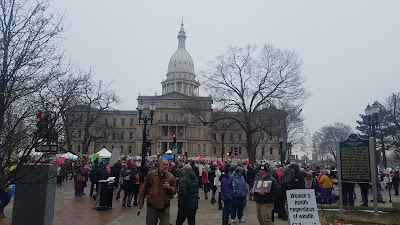 Finally, they examined the rights of immigrants and victims of assault and what we can do to make sure that someday no one has to say #metoo anymore. 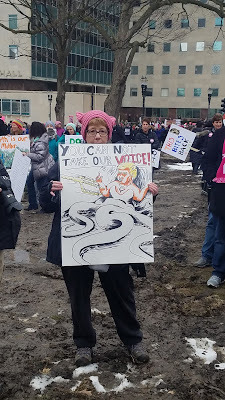 It was a powerful day for feminists to come together to celebrate the changes that we have made over the last year and the changes that need to be made for us to continue the fight and move forward. 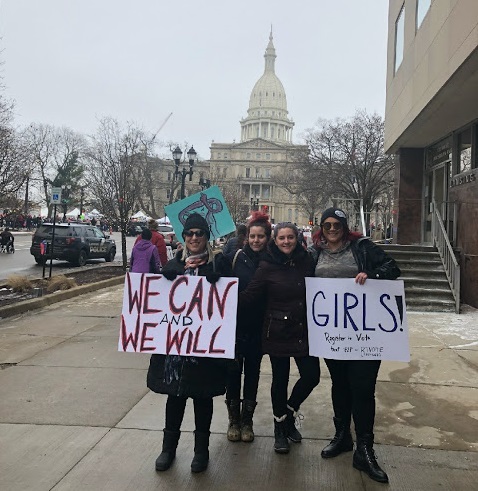 I was inspired by how hard the organizers worked to let the voices of underrepresented women lead the movement and I hope that we continue to make sure that these voices are finally heard and taken seriously because it is vital to this movement's existence.